Special Report: Is Court Reporting a Good Career Choice? 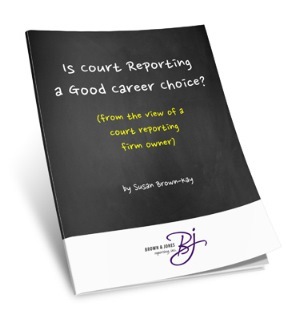 Are you wondering if court reporting is a good career choice? Whether you are a student in high school or college or someone considering a career change, this report will help you learn more about the court reporting profession. If you know someone who’s considering what career they should choose, do them a favor and give them this report.